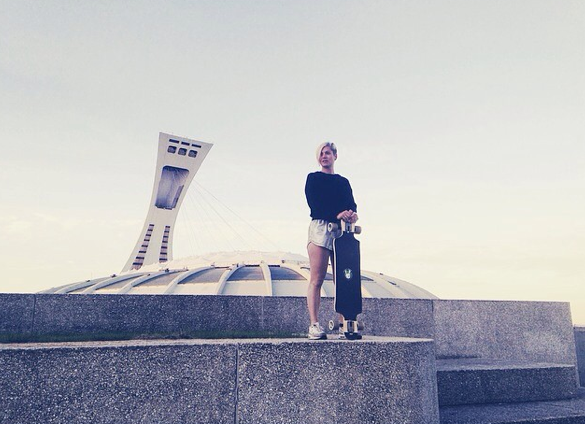 gaelleleroyer shares this shot from the Stade Olympique Montreal. Wikipedia doesn’t give it a glowing review but I think the stadium looks awesome and I would love to skateboard there. You can also check out gaelleleroyer on her photography site http://gaelleleroyer.com/. Love to see how many skater girls have artistic sites to share. 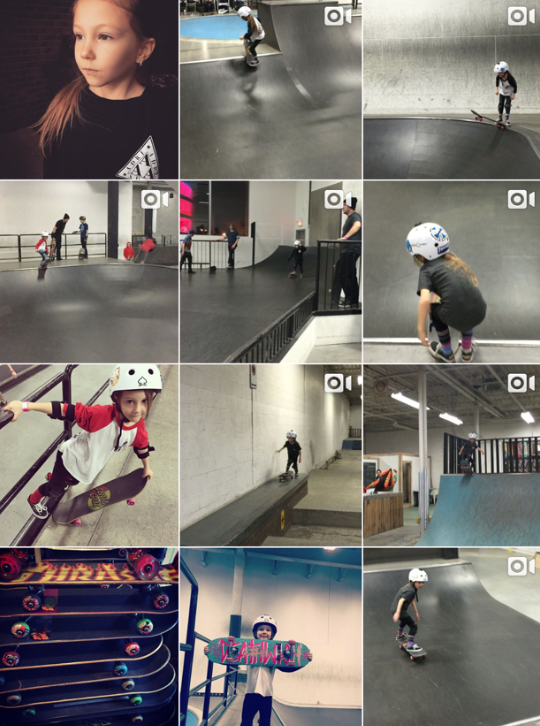 I love that skaterrosie also shares skateboarding. 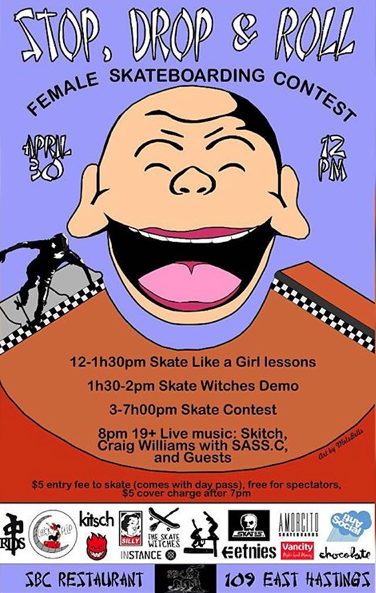 If you’re in Canada and can make it on April 30, 2016 it looks like a rad event. And I’m hoping she shares some photos with the blog. 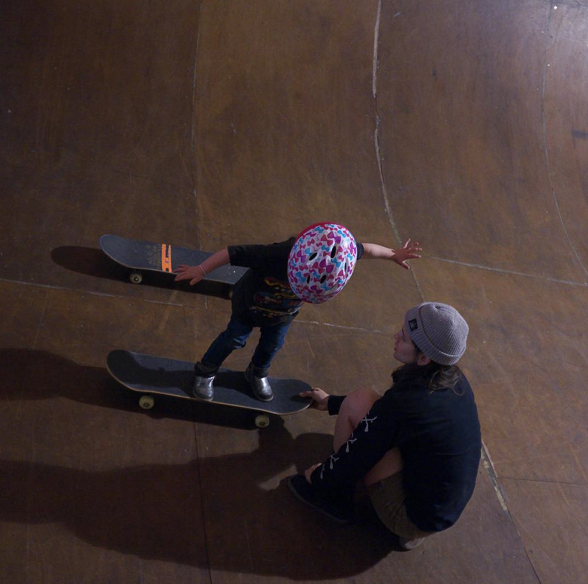 I’m glad skaterrosie kept skateboarding because it’s girls like her that make it easier for girls to skateboard today. Today I’m off for President’s Day – in Canada they are celebrating Family Day & Maya’s Birthday! thanks Volumatic for being an encouraging dad! 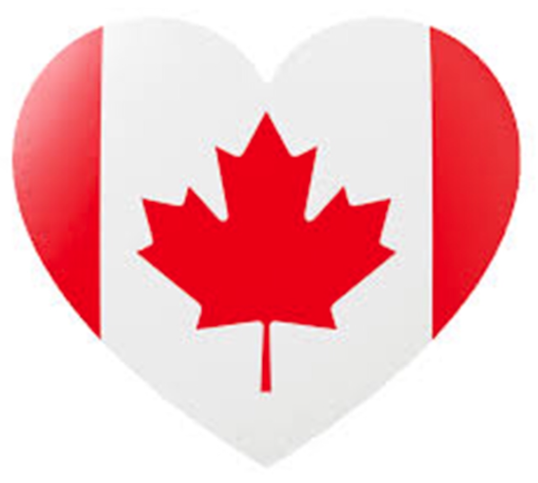 Happy Valentine’s Day to everyone & shout out to my IG friend lilyboardc who inspired me to find out so much more about Canada. More girls skateboard when they see girls skateboarding – so hope more skater girls share their pictures and stories soon – till then here’s some of Lily! 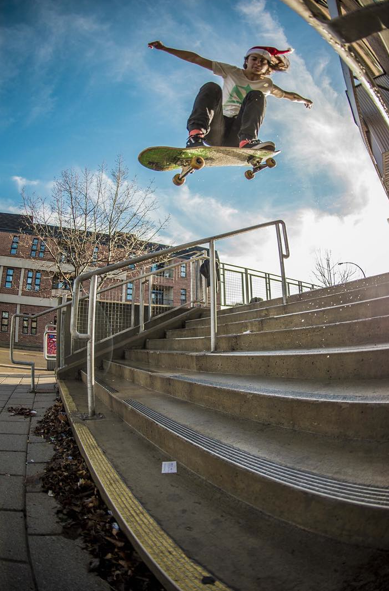 Frederique aka Fred has amazing skate photos in Facebook. I wanted to follow the link so much that after forever being locked out of my Facebook account – I got back in. Miracles happening every day because of determination. 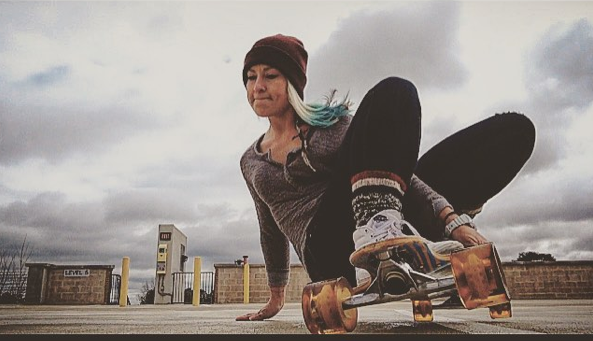 I found out that she skates in Montreal and sometimes skates with the skirtboarders. chantaldgarcia is a self described photographer, skateboarder and human. 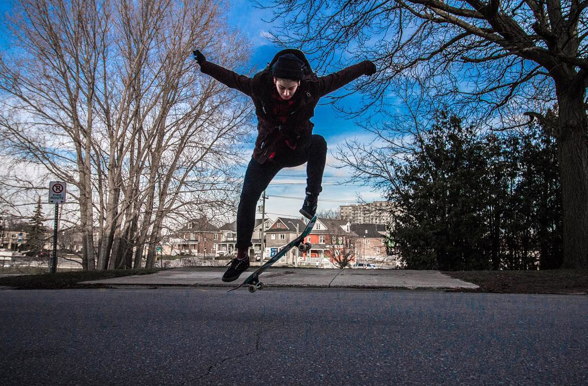 I love seeing her skate and her photographs. 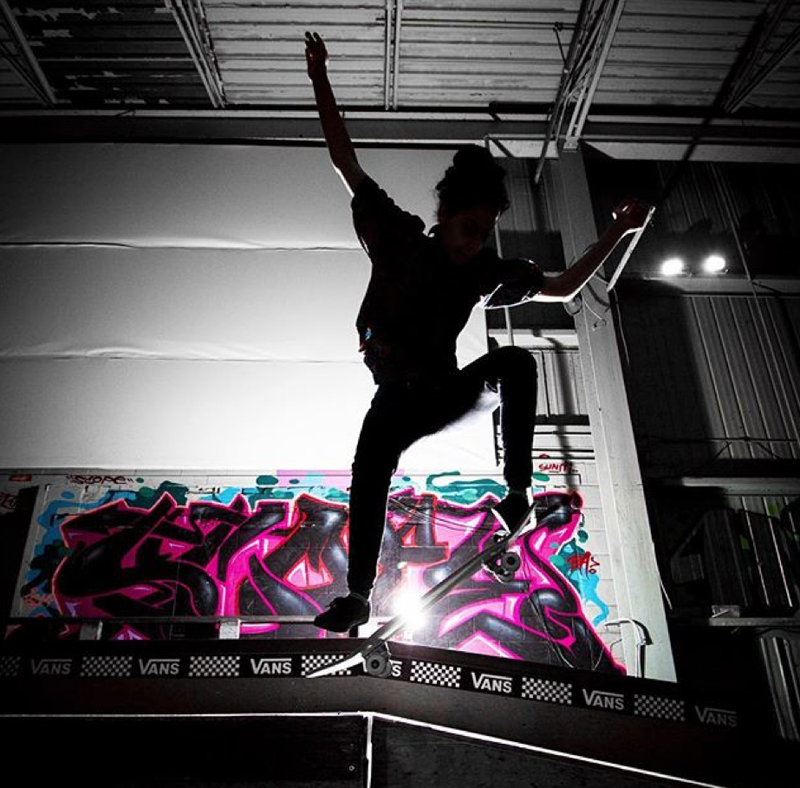 Photo above skater Chantal, photographer Cailey Fox. 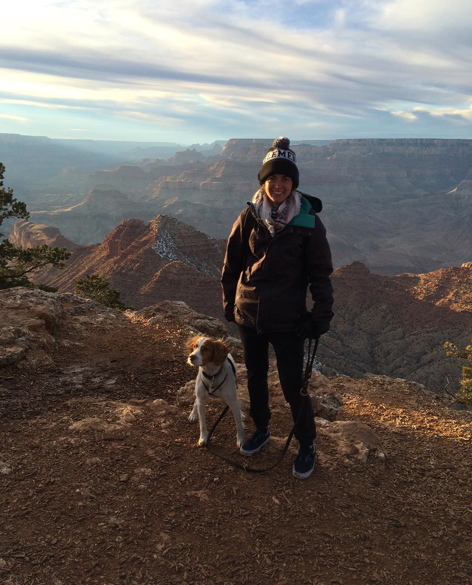 To see more of Chantal’s work check her out on IG and on her site http://chantaldgarcia.wix.com/chantaldgarcia. Below back lighting at the skateloft with skater asdrawnomer – Chantal is a member of the Babes Brigade love their Monday Night Girl Skate Sessions. 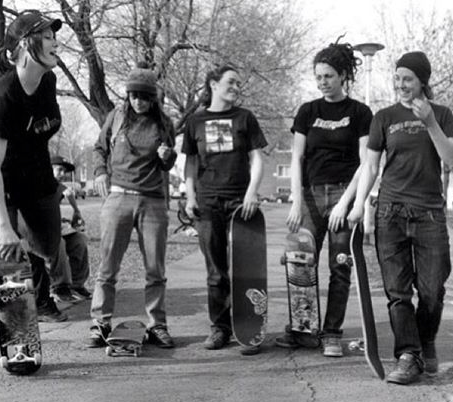 Nnieguglia sometimes skates at home in Montreal – which is apparently not always covered in snow during the winter! 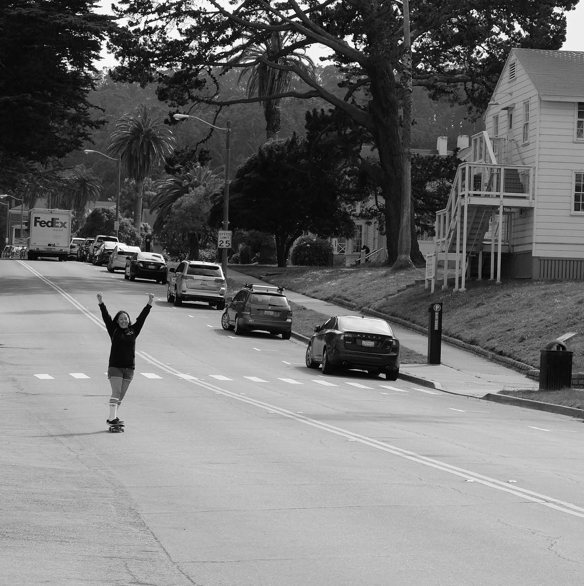 Annie travels with her skateboard and Wallie – here in a pic from quityourdayjobvid at San Francisco Bay. 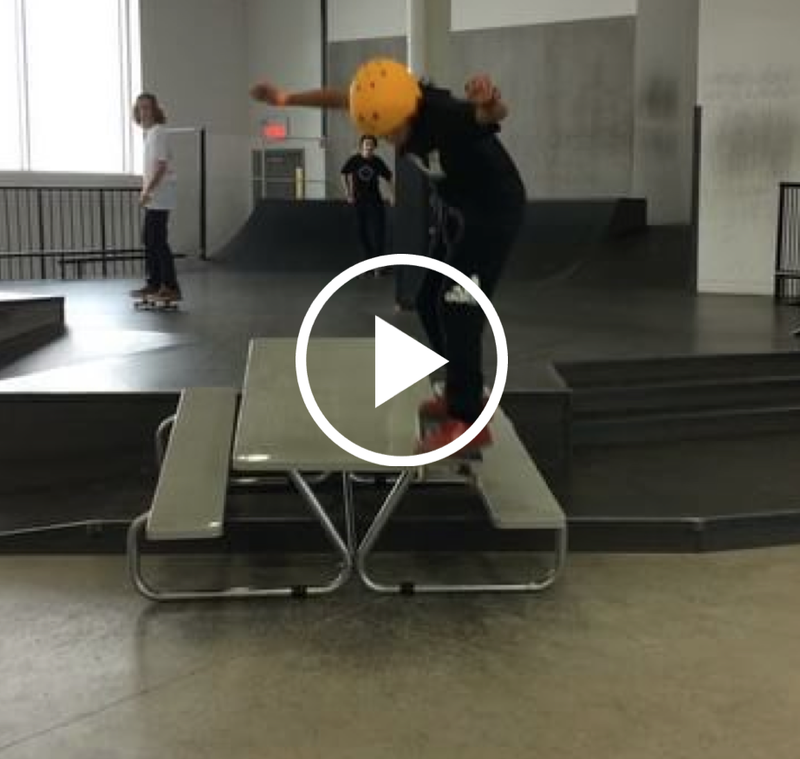 Poseiden Foundation Ladies Day at the Berrics in LA, CA. So the question is never is Annie skateboarding it’s where is Annie skateboarding? 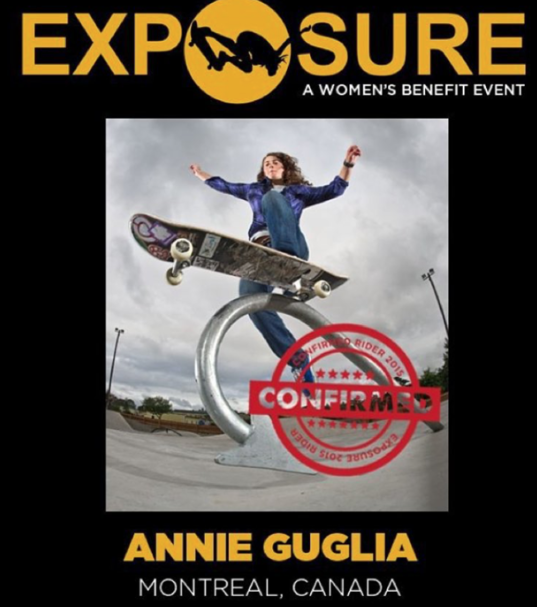 Everywhere she skates she inspires more girls to skateboard – if you’ve been inspired by Annie let us know! 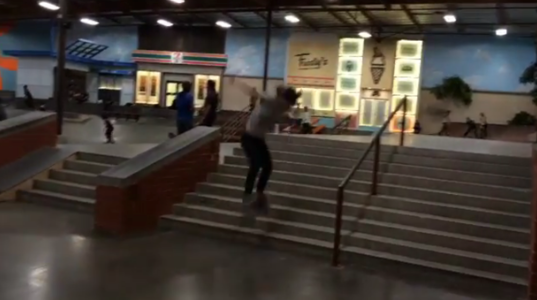 Skateboarding should absolutely be FUN. 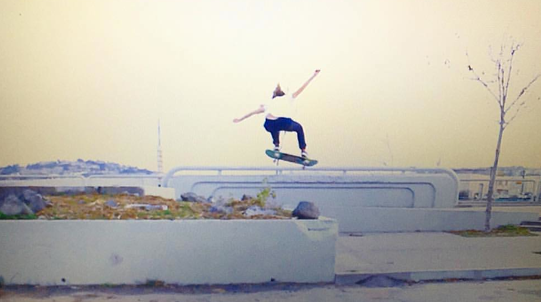 That’s why I love this picture of devan.711 skateboarding in China Town. Her smile completes her style. The more I blog about Canadian skater girls the more I found out about Toronto and I’m just wondering why I haven’t been there yet. 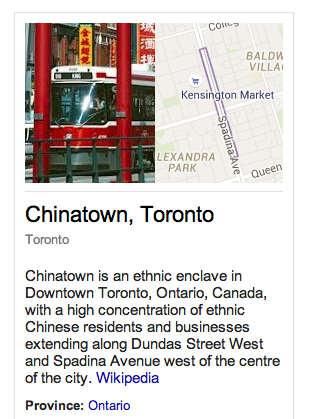 Fashion, Monday night girl skate sessions, skating downtown by the CN Tower and now China Town – maybe I should just move there. We interrupt Canadian posts because it’s National Pizza Day. What’s better than skateboarding? 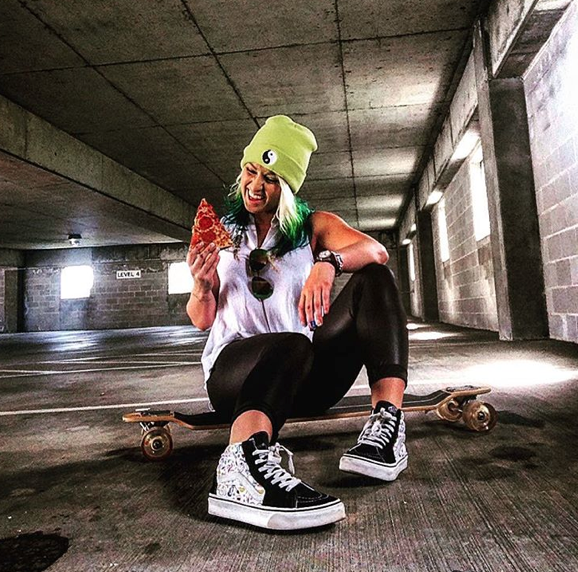 Skateboarding is better with pizza! Thanks marleemackkk for the reminder that everything is better with pizza. Till next time keep it stylish on & off the board – which is easier when you skateboard because skating is a killer core exercise & calorie burner! 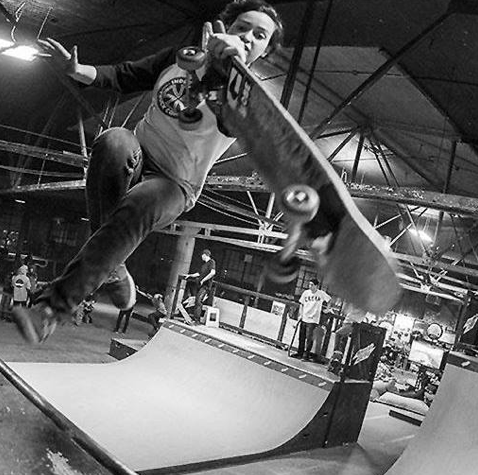 Mothers everywhere yell “Get your feet off the table!” Technically it’s not Hannah_sk8 feet on the table it’s her skateboard – so it’s ok.
Hannah_sk8 is in Montreal so you can’t always skate outdoors – however her YouTube has both indoor and outdoor videos all of them amazing. 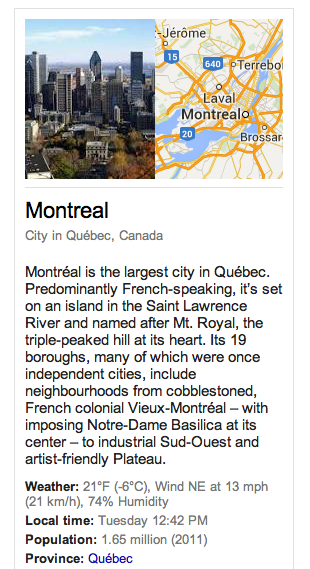 Happy Fat Tuesday – yes in my research of Canada I read that Montreal has been called the New Orleans of the North. Like I tell my mom this blog is educational!